Miami air conditioning installation and replacement services should be handled by a reliable and experienced heating and cooling contractor. An improperly installed AC system will be less efficient and potentially break down or have constant repair needs. At Air On Demand, our customers know that they can trust us to get the job done right because of our reputation for quality service. We can gladly answer your questions or discuss our installation and replacement services. We can also go over the different brands we offer, such as Air on Demand and Daikin, so that you feel good about your next purchase. Call Air On Demand today for new HVAC units throughout the greater Miami, FL area. The Miami air conditioning installation technicians at Air On Demand can help you with all of your AC replacement needs, whether you need to replace a central AC system, ductless mini split, or an air handler. Our technicians are trained to install your new air conditioning unit with high attention to detail so that your new unit will last for years to come. We also remove your old unit and dispose of it properly as part of our service. When you are ready to replace your AC system, call Air On Demand! We work with all brands, and we are a certified Amana and Trane dealer. If the ductwork for your central air conditioning system needs work before you install a new AC system, our Miami HVAC technicians can inspect, install or replace your air ducts. Once we’ve determined the condition of your current ductwork, we can go over the different options. 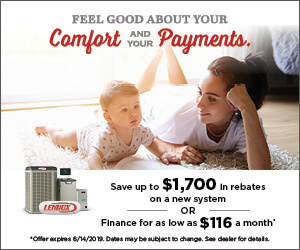 You may want to choose to install a ductless mini split air conditioner if you decide that replacing your ductwork isn’t the most cost–effective choice for you. Ductless mini splits are often installed when the existing air ducts need to be replaced because mini splits work without the use of air ducts and vents. Because there’s no air loss through the ductwork, they also tend to be more efficient than traditional AC systems. We offer a variety of ductless models, and we can always answer questions about the products that we carry and install. Because many Miami heating units consist of electric heat strips that have been added to a cooling system, installing them correctly is an important part of making sure your heating system operates smoothly. At Air On Demand, we provide the professional attention and care when installing electric heat strips to your air conditioning system to ensure that your entire system will work together for years to come. Replacing the heating components in any HVAC system requires special attention as well since there are many options for the replacement type. You may choose to replace your old heating system with electric heat strips to save money on labor and on heating costs. When our Miami heating technicians assess your current heating unit, they can consult with you on what type of replacement service would make the most sense, whether you want to upgrade for more efficiency or you need to replace old electric heat strips that are beyond repair. We hire only trained professionals who have the skills and experience it takes to get the job done right. Don’t hesitate to call us the next time you need an electric heat strip replacement or installation service. We also offer ductwork and indoor air quality systems to work with your HVAC system. Call now and let us know how we can help you with any of your heating needs. The importance of a professional service should not be overlooked for any heating or cooling system. When you need that professional level of skill and expertise, call Air On Demand. We can handle all your Miami air conditioning and electric heat strip needs, from installations to replacements. We will also remove your old air conditioning or heating unit as part of our replacement service, and we can take over the routine maintenance once the system is installed. We also have programmable thermostats to help you save even more energy. Feel free to give us a call any time to ask about our heating services and quality equipment.